Elizabeth Arden has launched its new Flawless Future Powered by Ceramide skincare line, and this line is actually geared towards younger women in their 20s and 30s looking to treat the first few signs of aging, as well as to keep the skin in top condition for future years (hence the "Flawless Future" tagline, I suppose!). This certainly is something a little different from what Elizabeth Arden is known for, since the brand is probably best known for its anti-aging products geared towards more mature ladies. But don't let that deter you from checking out this range, because this range is actually quite pleasant to use. 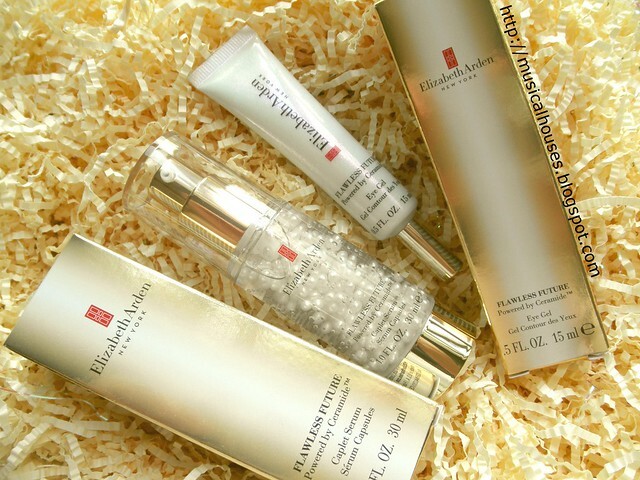 Elizabeth Arden has taken care to keep the range lightweight and easy to use (which people our age will probably want in their skincare), but at the same time, they've managed to keep in the Flawless Future range some of the ingredients from iconic products that made Elizabeth Arden's brand so famous, such as the the Elizabeth Arden Ceramide Capsules (which I've reviewed before). 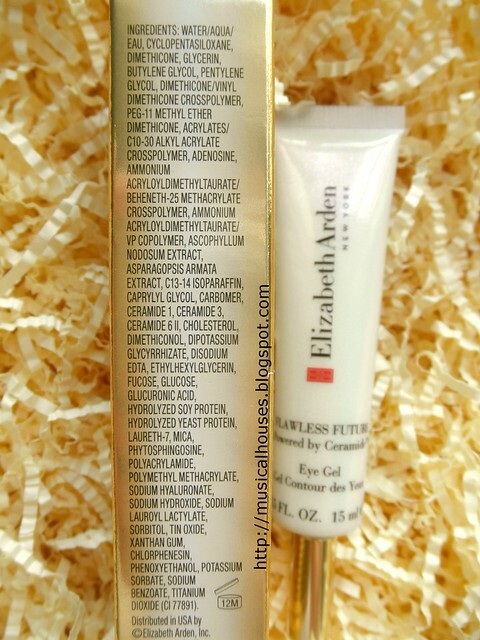 In fact, Elizabeth Arden explicitly makes this link to their mature-market Ceramide range, labelling the Flawless Future range "Powered by Ceramide". 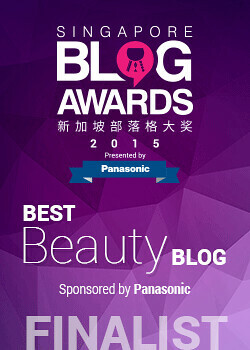 Let's take a closer look at the two products I have - the Flawless Future Caplet Serum, and the Flawless Future Eye Gel, and see if their ingredients really live up to the brand's much-vaunted reputation for skincare! 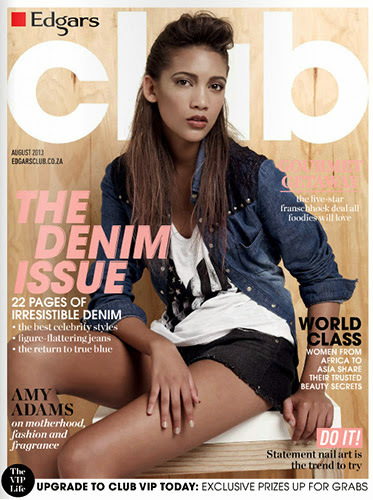 The first product I have is probably the standout of the range - the Flawless Future Caplet Serum. 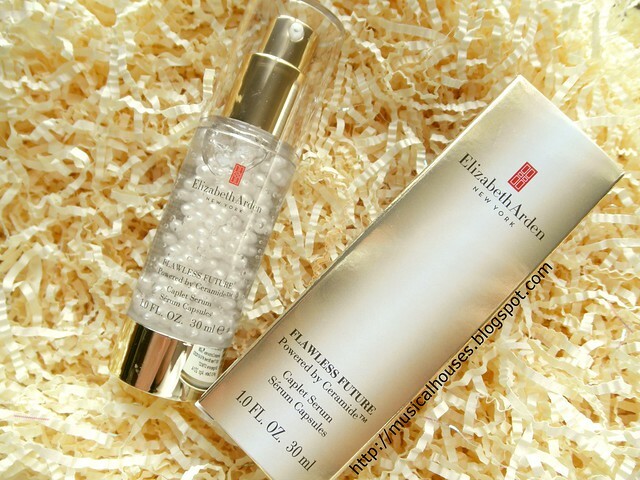 No doubt, part of the buzz from this product is due to the lttle pearlescent spheres inside the serum. The appearance actually reminds me of the Guerlain Perles Primers, because it looks similar, with a bunch of little shimmery balls suspended in a clear watery liquid. We as consumers are always suckers for pretty, visually-appealing things, and this just hits the nail on the head. I think this is going to be quite the best-seller! Now you're probably wondering - are the ingredients as good as the product looks? Fortunately, the answer is yes. The main ingredients in the Flawless Future Caplet Serum are water (of course), and after that humectants (Glycerin, Butylene Glycol, Propylene Glycol, Pentylene Glycol), and emollients (PEG-6 Caprylic/Capric Glycerides, Caprylyl Glycol). There are also other things like Carbomer, a thickening agent, Adenosine, an anti-inflammatory ingredient, and also Calcium Alginate, which is an interesting choice. Calcium Alginate is actually used in wound dressing because it has the ability to turn into a gel upon contact with the fluids in the wound, which helps to stop the wound from bleeding or oozing, and also helps as a protective barrier. It's also used in foods as it's edible. 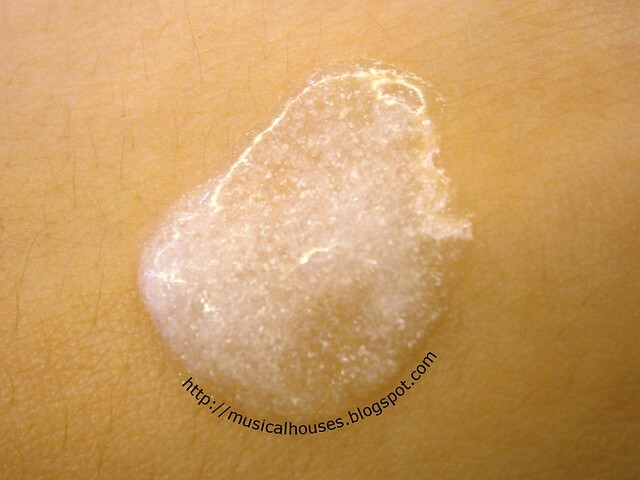 In cosmetics and skincare, though, it's usually used as a thickener or a stabilizer. 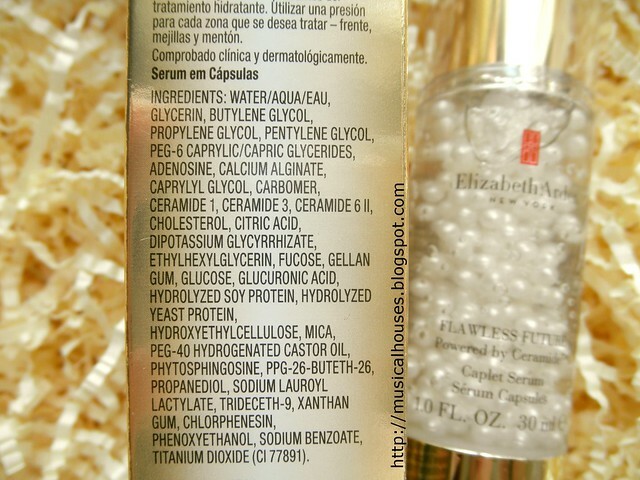 Of course, as you might expect, the "Powered by Ceramide" ingredients are all here - these are the ingredients that will look very familiar to you if you've read my previous review on the Elizabeth Arden Ceramide Capsules Daily Youth Restoring Serum. 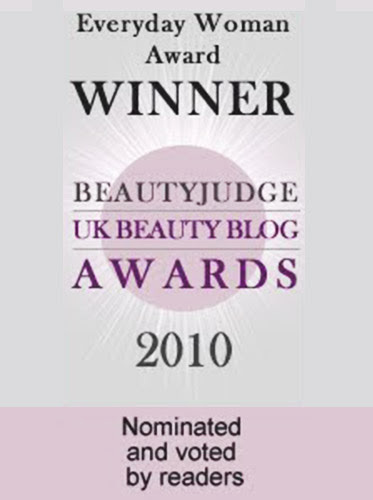 I've previously written in that post why I thought the Daily Youth Restoring Serum Capsules were an excellent product with some really good ingredients that can help to repair the skin's barrier - as I've also mentioned in my previous review, Ceramides are the "glue" which holds the skin cells in the outermost layer of our skin together, so if your skin is deficient in ceramides (either through skin conditions or aging), replenishing the ceramide levels in your skin through topical application can help. So, I'm pleased to see that these make an appearance here - there's Ceramides 1, 3 and 6II (you'll recall the Daily Youth Restoring Serum had Ceramides 1 and 6II), and there are also the ingredients that are synergistic with ceramides, namely Cholesterol and Phytosphingosine. This is altogether a pretty good combination, because the effect of using ceramides is often better if 1) multiple types of ceramides are used together, and 2) if synergistic ingredients, such as Cholesterol, Phytosphingosine or fatty acids are combined together with the ceramides. (If you've read my review on the Elizabeth Arden Ceramide Capsules Daily Youth Restoring Serum, you'll also know that Phytosphingosine makes an appearance in the product, too.) So for all the same reasons that I liked the original Daily Youth Restoring Capsules, I like this product - except that, with the bulk of the product being lightweight-feeling humectants like the Glycols, it's formulated to feel a lot lighter and less oilier than the original Ceramide Capsules. My experience with the product did bear out my expectations from the ingredients list. I found this to be a very lightweight, easy to apply serum that sinks into the skin quickly and doesn't leave much residue. When you dispense the product out of the pump, the little spheres "burst" and you get a clear liquid filled with little white shimmery bits, which appearance-wise is just like the Guerlain Perles Primers. When blended out, the shimmers pretty much disappear into the skin, and you aren't left with a glittery finish or a shimmery face. 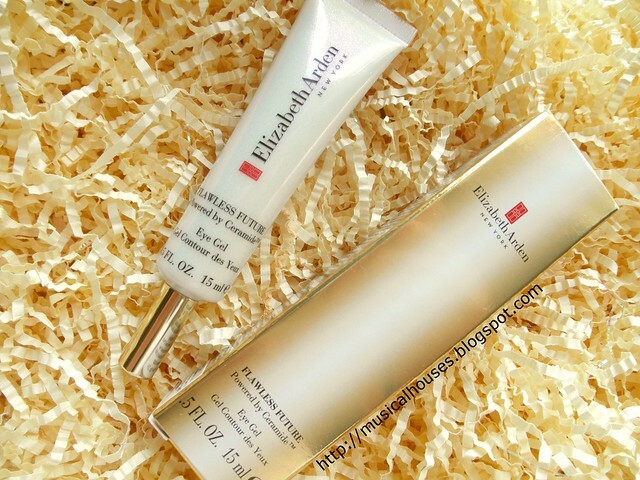 When I used this, I found it to be light but still fairly moisturizing, although not as intensely moisturizing as some of Elizabeth Arden's other products, which seems like a fair expectation given that the Flawless Future range is geared towards a younger age group. It did seem to help my skin condition seem better overall, too. Next, the Flawless Future Eye Gel. Again, like the Flawless Future Caplet Serum, Elizabeth Arden has worked hard to make this appealing to a younger age group - this is a gel, for one, and not your typical eye cream. Ingredients-wise, there is water, and after that, humectants (Glycerin, Butylene Glycol, Pentylene Glycol, Caprylyl Glycol), and a whole bunch of silicones and polymers (Cyclopentasiloxane, Dimethicone, Dimethicone/Vinyl Dimethicone Crosspolymer, PEG-11 Methyl Ether Dimethicone, Acrylates/C10-30 Alkyl Acrylate Crosspolymer, Ammonium Acryloyldimethyl Taurate/Beheneth 25 Methacrylate Copolymer, Ammonium Acryloyldimethyltaurate/VP Copolymer, Dimethiconol) which serve various functions: some make the product feel nice on skin, some function as emulsifiers or thickeners, some are film-formers, and so on. Then, there are some of the same ingredients that make an appearance in the serum - there's Carbomer, Adenosine, and of course the "Powered by Ceramide" ingredients of Ceramides 1, 3, 6II, and Cholesterol. Interestingly, there are some plant extracts here that didn't make an appearance in the Caplet Serum, such as Ascophyllum Nodosum Extract and Asparagopsis Armata Extract, which are both derived from seaweed, and can function as an emollient or thickener. With so much attention paid to getting the product feel just right, you can expect to be a very nice, light-textured product. And of course, my experience with the Flawless Future Eye Gel was just that: it's lightweight and absorbs fast into skin, and doesn't feel heavy or sticky. 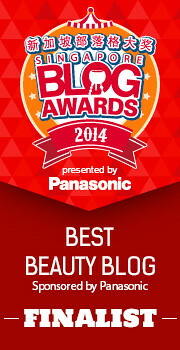 When I used it, I also felt like it moisturized my skin well. As a bonus, it also works pretty well under my eye makeup - those silicones also do double duty as a sort of eye-primer too. So would I recommend this, and who should use the original Capsules and who should use this range? Formulation-wise, I still prefer the old capsules, but at the same time, it can feel a little thick and heavy, and (as I've also mentioned in my previous review), would probably be more appreciated by those with dry skin, or people whose skin barrier has been disrupted (e.g. by skin conditions as atopic dermatitis, psoriasis, or else just through plain old ageing or dryness) - and indeed for people whose skins are oily, for example, the texture can be a bit too much. For other people who are younger, or have skin that isn't dry or in need of heavy repair, then I think the Flawless Future range is definitely a good balance between getting a skincare product that feels nice on the skin, while still getting the benefits of the original Ceramide range. In this case, the Flawless Future's marketing as a "first signs of ageing" product is actually fairly accurate: it incorporates several of the good anti-ageing ingredients, but in a lightweight formula that's best suited to a younger age group. The Bottom Line: The very lightweight Flawless Future range delivers some of the benefits of the original Ceramide line, making it suitable for younger women or women with oilier skin. but....I thought glycols are bad for skin?